I always wonder how Koreans have such nice baby skin especially Korean singers and actors/actresses. They have packed schedule where they have filming/recording till late night most of the time yet they can maintain healthy glowing skin. Now let me introduce you the secret of their baby smooth skin, L'EGERE Magic Skin Beautifier CC Cream. It is an all in one completed correction cream, a moist milky-white cream, infused with exclusive CC capsules that magically transforms skin for an enlivened complexion. Innovation capsule technology keeps the exclusive CC capsule fresh until application, so you can get the most lucent complexion. It comes with multiple beautifying effect: prime, hydrates, corrects, evens and perfects. Double whitening and multi-lift formula can make skin smooth and white, it also prevent facial bloating by hydrating the face and with firming properties to keep skin firm and tight. It also comes in very handy, perfect for travelling. This CC cream uses new generation mineral colour magic particles. When you swatch it on your hand, it's white colour but after you blend it, it will tone the best colour for your skin. 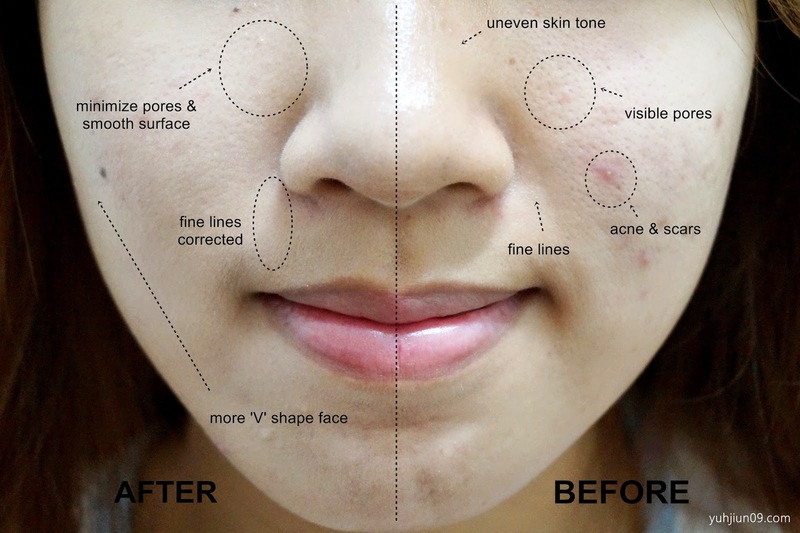 The comparisons of before and after using L'EGERE Magic Skin Beautifier CC Cream is clearly shown in the picture above. As what they have promised, it does minimized my pores, lighten dark spots, corrected fine lines, even out my skin tone and more 'V' shape face (Y)! I love the texture, which is very lightweight with a nice scent of smell. It also blends in very well with my skin tone so that I don't look pale but it gives me healthy glowing skin instead. So far as I'm using it, it does not clog pores and make my skin cakey even after few hours of applying it. It also doesn't cause any irritations or breakouts to me. The only con of this product is it has low coverage. It does lighten my dark spots but dark circles and acnes are still visible. Overall, it's one of the best CC cream I've tried especially for daily makeup look. It's very natural where it feels like you didn't apply makeup at all. I would recommend it to those with good skin condition due to its low coverage or you will need to apply concealer. I'm also loving Korean products right now and this sounds great. I just bought a CC cream from Etude House, which is expensive but totally worth it. You did a great review. How much is this? I love wearing CC creams under my foundation. This looks like something I'd definitely try! I think the packaging is cute too. What a difference, this is amazing. The coverage is really good, I'm glad this works for you. how long have you been using this. any clogged pores issue? the cream looks rather thick, but it looks quite natural on your face! 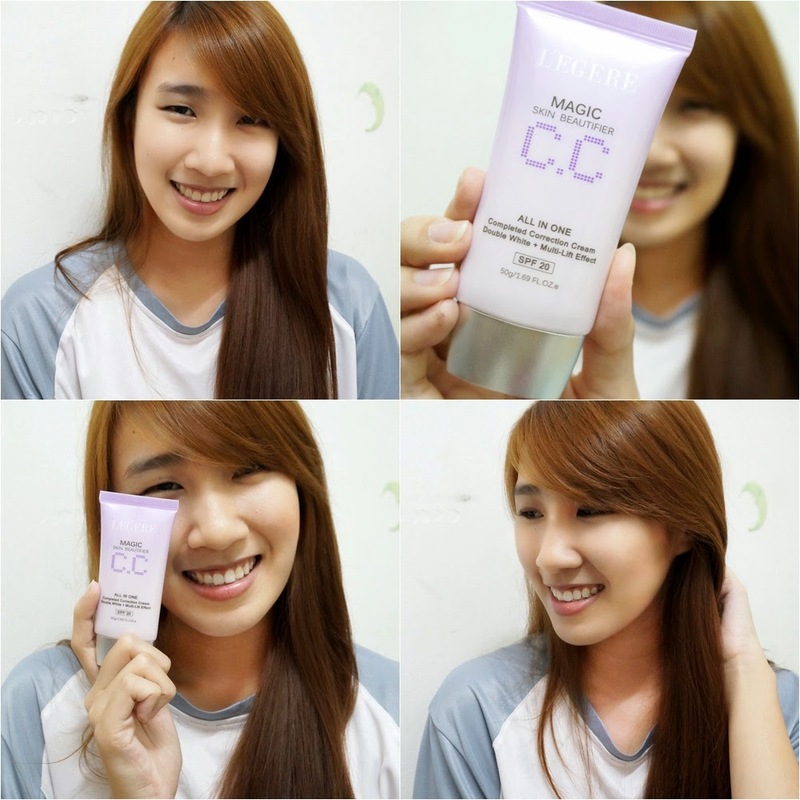 Another brand from Korean that I've just known ^_^ this Legere CC cream looks good on your skin. Hopefully it will give good effect too to my skin. This is actually the first time I'm learning about cc cream. Never heard of it before, haha. Thanks for the review! Never heard about this brand before. But my favorite cc cream so far is from Korean brand called The Face Shop. i dont like this as it's too oily for my liking..and coverage is too mild!